As risks vary, your clients need to safeguard their interests with comprehensive insurance policies that cover commercial crime, fiduciary liability, and Errors & Omissions for Attorneys. 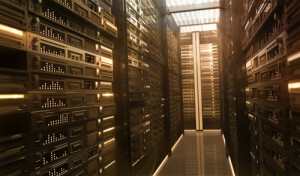 As clients also expect that the data they manage is secure and easily accessible, efficiency has been a primary goal. For years, businesses have turned to cloud-based solutions to improve productivity. Many others, particularly law firms, have steered clear of the cloud fearing it could jeopardize data security. However, a new survey indicates cloud storage is secure. Conducted by Recommind, the survey concludes most law firms/legal departments now embrace the cloud. The top three ways respondents use the cloud are for e-billing, matter management, and/or contract management. Asked to rate their cloud use on a scale of one to five (five being the highest), 80% of those surveyed rated their company’s or department’s cloud use at three, four, or five and 32% rated it four or five. While most respondents were pro-cloud and confident cloud-based solutions are secure, some remained skeptical. One executive was quoted as saying that his company has decided to invest in building an internal data center to it can keep all data onsite. While businesses that store their data on-premises may feel like they are in control, an analyst at the international cyber-security firm Pierre Audoin Consultants (PAC) says that cloud storage is actually safer than on-site storage. Cloud-based service providers, the analyst says, have the resources to embed the most state-of-the-art cyber security tools into their systems. Individual firms implementing on-site data storage systems would find it prohibitively expensive to tap into those high-tech security tools. While not all firms are comfortable with cloud-based storage solutions, as the cloud matures, so do the technologies to keep data stored there secure. In addition to bringing you the latest news from the insurance industry, PL Risk provides Resources for Agents and Brokers nationwide. We’ve recently implemented Hiscox Now, which allows agents their own access to Hiscox and instant quoting. To learn more about our operations, contact us today at (855) 403-5982. Lori Jensen , Lee & Associates Commercial Real Estate Services, Inc.